As we approach our 40th Birthday I wanted to share with you a brief history of the Gallery over the last 40 years, for which I have been at the helm of from the tender age of 22! I’ve steered the good ship CHG, laden with art, exhibitions, characters, celebrities, community and good times through all manner of waters and now here we are, arriving at this significant milestone! 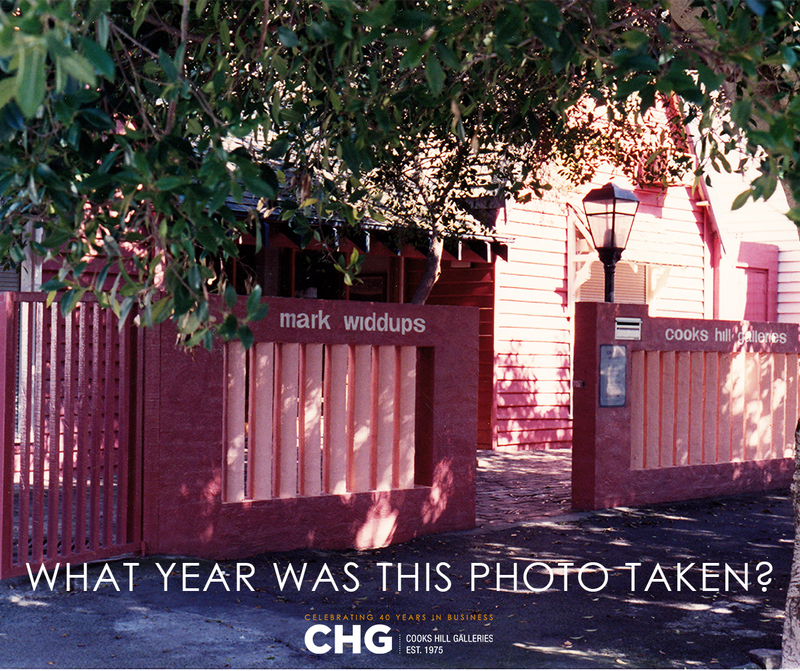 Let me take you back to the beginning… In 1975 Cooks Hill Galleries opened with much interest with a Balinese Exhibition, food and dancing accompanying an exhibition of paintings. This was a great success that took an enormous amount of work and the start of what was to be a steep learning curve for me. At the time I was a greenhorn, the 22 year old Director who had little idea of the nature of this professional and personal challenge, this was only just the beginning! Looking back now I believe post the Global Financial Crisis has been the most testing years but they do not stand alone! What I can say with certainty is that today the art market has changed so much, we live in a new world, and people’s interest and entree to art is not as predictable nor as likely today as it was in the past! Perhaps we have lost some of this focus on the arts and culture, instead replacing it with other less, one could say enriching pursuits! Cooks Hill Galleries in 1983! Who loves the colour? The learning curve was steep for me in those first 5 years at the Gallery, with a predominance of local artist group exhibitions of paintings and ceramics that were well received in Newcastle. The latter was more popular as an exhibiting interest than it is today with many cheap imports out of Asia effecting the functional ceramic market here! I also had exhibitions of fine art from Thailand and other Asian regions principally because I had an associate who supplied me with great stock that was unique and of interest to those seeking to differentiate their home and introduce an exotic element. At the same time I was slowly gaining art awareness, making contacts, and building an art library. Ceramics were popular in those earlier years and the Newcastle Regional Art Gallery (NRAG) had a policy of collecting at the time and nurturing the ceramic art movement.The city also received from our Sister City in Japan, ‘Ube,’ a significant contemporary collection of ceramics. It’s a pity we don’t seem to have kept that association and relationship alive these days? This probably applies to many other art related initiatives like this in Newcastle! Local artists complimented with Sydney artists became the pattern for art supply by Cooks Hill Galleries. In those days art was mainly transported by me or the artist in their own cars or vans, can you imagine! A pattern of art exhibitions about every 3.5 weeks seemed to develop at the Gallery. In the early 1980’s I branched out to attracting resales of the more established reputation art, building a small client base mainly in Sydney. During this time I personally helped many establish valuable and prominent collections of art and formed relationships we still have today. Very soon I found myself working with the big names in Australian art, the established artists such as Brett Whiteley, Sidney Nolan, Charles Blackman, James Gleeson, John Brack, Colin Lanceley, John Perceval, John Olsen, William Dobell, Arthur Streeton, Tom Roberts, Julian Rossi Ashton, Roy de Maistre, Norman Lindsay, Guy Boyd, Arthur & David Boyd, Rupert Bunny, Louis Buvelot, ST Gill, Hans Heysen, Eugene von Guerard etc, The Gallery still maintains these links and works either with the artist where possible, management or family in some cases. I began buying at auction on behalf of clients and at the same time on interstate trips contacts developed such that I could access more art, rarer pieces, and more frequently. The art market was slow in the early 1980’s but built to a heightened crescendo the mid decade to its most active period I have witnessed in its history. The Australian art market was going off its rocker quite frankly. The era between 1986-89 were the halcyon days indeed, despite the share market crash in 1987 which was rather bothersome for many! 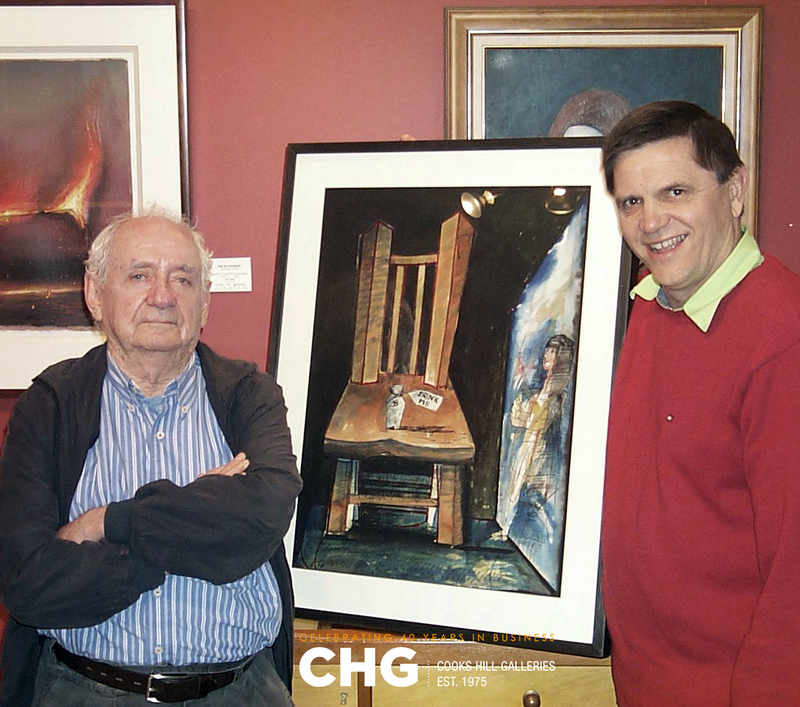 Local artists would sell over $100,000 worth of paintings at their exhibitions often. I would take exhibitions to Sydney renting out premises to have exhibitions that were sell outs and significant events. Commission work was very active with post exhibition orders keeping a flow of work months after an artist’s show. We pursued regular buying trips to UK and Europe in search of Australian artist’s work. We would regularly access European art to offer to a select few Australian collectors of note. Dream runs always come to an end and by 1989 the halcyon days came to an abrupt halt! It was a good 3.5 years though! I’m still waiting for the return of that stellar period. It was a few tough years thereafter for the Gallery. Single exhibitions were interspersed with 2-3 exhibitors at the one time and a number of group shows. Our exhibition schedules became the pattern, with collectable art trading from our ‘Collectables room’. The dealing aspect of the business was a valuable point of difference for Cooks Hill Galleries. During the mid 2000’s I was keen to find overseas representation in developing markets in the Middle east and China which proved an interesting experience . The next major challenge for the Gallery was post the 2007 Global Financial Crisis. At this time the market shift coincided with a core of our clients ageing and moving out of the market. The aim was to find those to replace them, however I soon realised the new buyer had different views of the art market and what and when to consider buying art? It was my job to try to find this new art buyer and understand the market and forms of art they valued. It sure wasn’t an artist’s reputation that necessarily established the driver to buy in this changing Australian art market! New art forms and defining what is art was most active. A new era of art expression with many new avenues of art being available and it was only time for these to establish themselves as an alternative to the art before them. The internet had arrived and these potential art buyers had tremendous access to a world of art and a new platform. I knew then I would need to evolve along with the Gallery and quickly, to keep ahead of a new wave and age of art buyer! I also realised our new buyers were not restricted geographically or restricted in their access to art information. 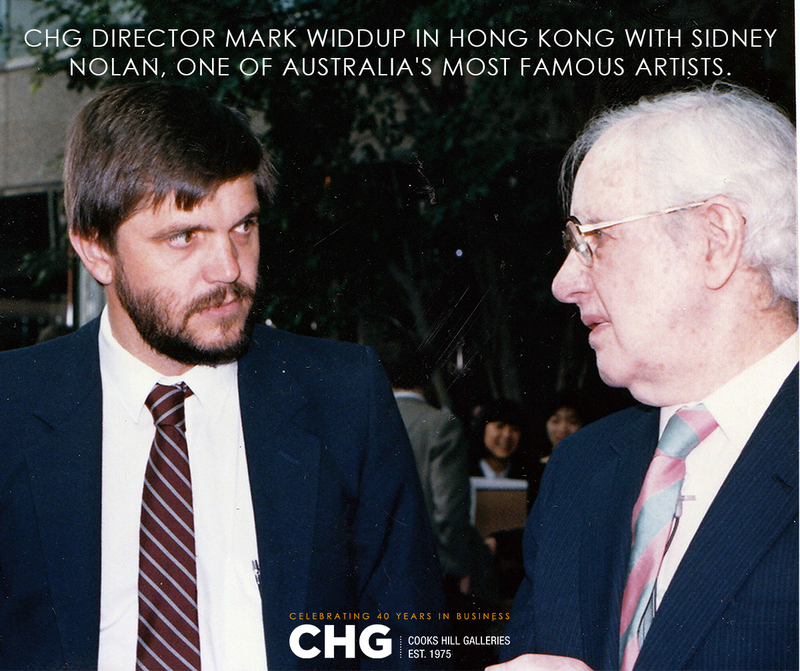 A different marketplace had taken form and the Australian art market and the world would never be the same. I now had to figure out how we were to move CHG forward in this exciting and challenging environment. Many of our competitors and peer galleries would not, falling by the wayside, closing at a rate of knots, failing to adapt to this new art world order. There I was at the beginning again of my art learning again and the past 30+ years would mean little unless I adapted! So back to learning, reading, researching, thinking and seeing what was new and what we need to do to continue to do what I loved and was passionate about, help clients acquire great art! I also realised I had a huge knowledge base able to answer many art questions or concerns. I plan to share and direct this knowledge by a webinar starting in late September this year on a Tuesday evening 8pm – 9:30pm. Let me know if you want details and I will email you when it is about to be launched. At the same time the art market demand for many of the established artists we have handled was changing, as were their values. Art prices were being re evaluated and what is collectable is on the move. Artists have had to acknowledge this new reality. Concerningly some attitudes may not have changed though, to their own detriment. As a result of all of this marketing now has a new meaning, more later on this aspect in another blog! The post GFC environment was definitely a painful barb that delivered the message – change or die. Take note! This was the catalyst for developing the gallery’s digital presence including website and thereafter the social media presence which allows us to engage, talk, share and interact with our clients, followers and the art world globally. Be sure to join us online! How we reach today’s buyers is so multi-channeled and one cannot rely on one simple avenue alone! Now comes the most important part of the story – You! Thank you for your support over the years. Without you all this would have not been possible! And please, I implore you, should you have an enquiry, I’m always available to discuss art so never hesitate to contact me. After all, I now feel comfortable to say, after 40 years I think I know a few things about Australian art! And you cannot miss our 40th Birthday Celebrations! 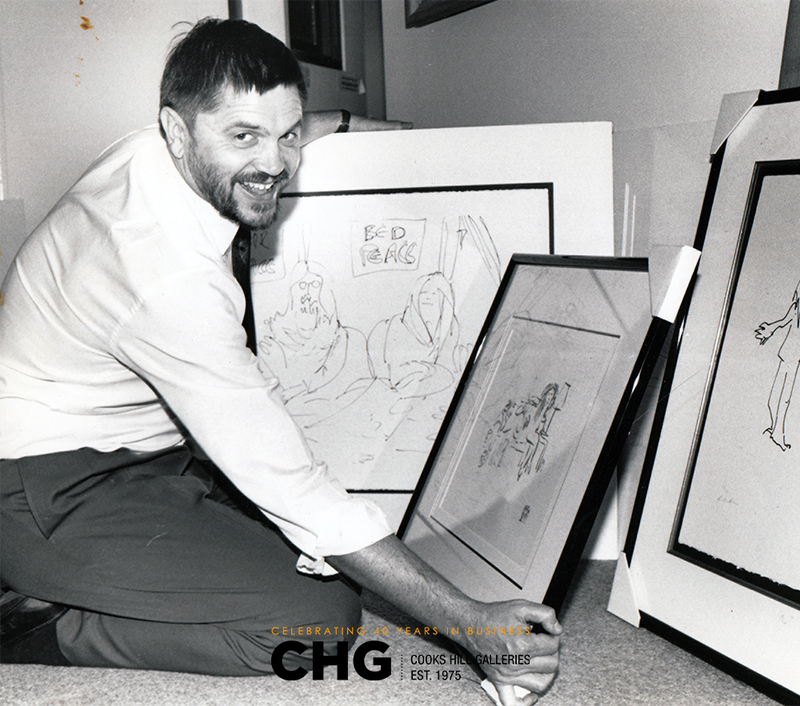 Join us on Saturday 12th Sept from 3pm for a panel discussion with our represented artists, speech by CHG Director Mark Widdup, cocktail party & the opening of our very special 40th Birthday Exhibition. Book your tickets here. I wish I could be there with both of you!! What a great success story ! Love from One of your best pals and admirers at what you 2 have accomplished, Harry and Barbara are smiling! !